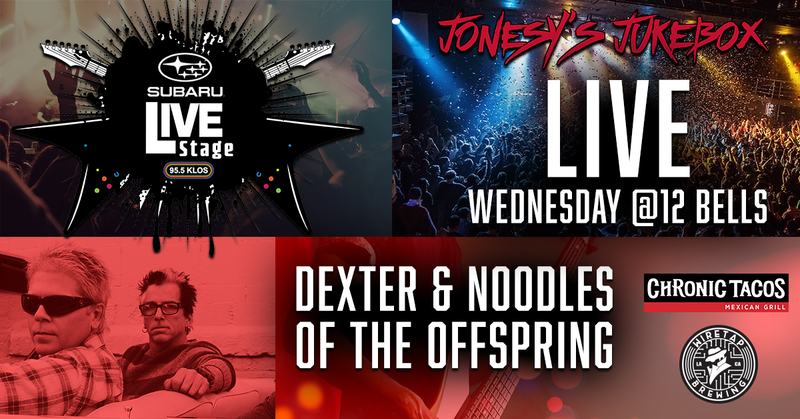 Listen to win passes to join Dexter and Noodles of the OFFSPRING, for a special KLOS Sabroso Festival Broadcast on Jonesy’s Jukebox. LIVE from the KLOS Subaru LIVE Stage. Wednesday, March 14th at 12 Bells. Brought to you by SUBARU, Chronic Tacos and Wiretap Brewing.